Sign-in to our games arena! Flash is not enabled on this browser. To play this game, you will need to enable Flash on your browser, then reload this page. Penny Dell Sunday Crossword Try the new Sunday Crossword, no pen, pencil, or eraser required. Penny Dell Crosswords Challenge your crossword skills everyday with a huge variety of puzzles waiting for you to solve. Daily Crossword Challenge your crossword skills everyday with a huge variety of puzzles waiting for you to solve. Sudoku Easy, medium, or hard - how fast can you solve all levels of this challenging game of Sudoku? 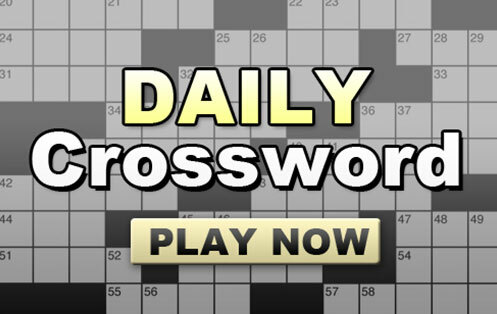 Best Daily Cryptic Crossword A free daily cryptic crossword that's not too difficult - just right for solving in your coffee break. Best Polymath Crossword by Cincinnus Challenging crossword puzzles to test the breadth and depth of your general knowledge. Penny Dell Sunday Crossword Try the new Sunday Crossword, no pen, pencil, or eraser required. Daily Crossword Challenge your crossword skills everyday with a huge variety of puzzles waiting for you to solve.